RhinoFit gym software gives gym and health club owners more time to run their business with it’s easy to use software and user interface. With all the features to manage your gym, you have all the tools at your fingertips to successfully manage your gym operations. Accept one-time and recurring credit card or ACH payments automatically with our built-in payment processing features. 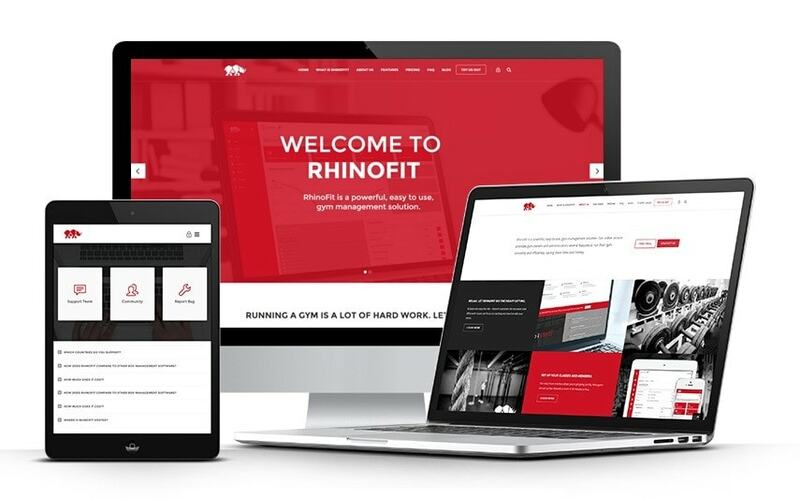 RhinoFit offers streamlined reporting to organize the most important information for your business. Reporting also assists you on tracking commissionable sales for your staff. Integrate your own custom product page, student sign in, or membership store into your gym’s website.